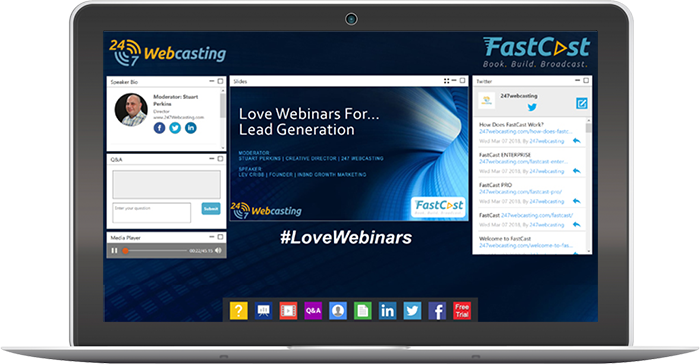 Introducing FastCast from 247 Webcasting, a webinar platform for Lead Generation. Your business is moving forward, is your technology holding you back? Gone are the days when off-the-shelf, one size fits all, generic Webinars were your only option, 247 Webcasting are here to provide something different, and that’s why we have created FastCast. Professional, easy to use, secure, and viewed straight from your browser, there are no downloads, no downtime, no complications, and no future commitment. Just simply great Pay As You Cast performance, backed up by unrivalled Worldwide technical support. And for those of you who want the cost savings of a multi-cast subscription? We’ve got you covered too. 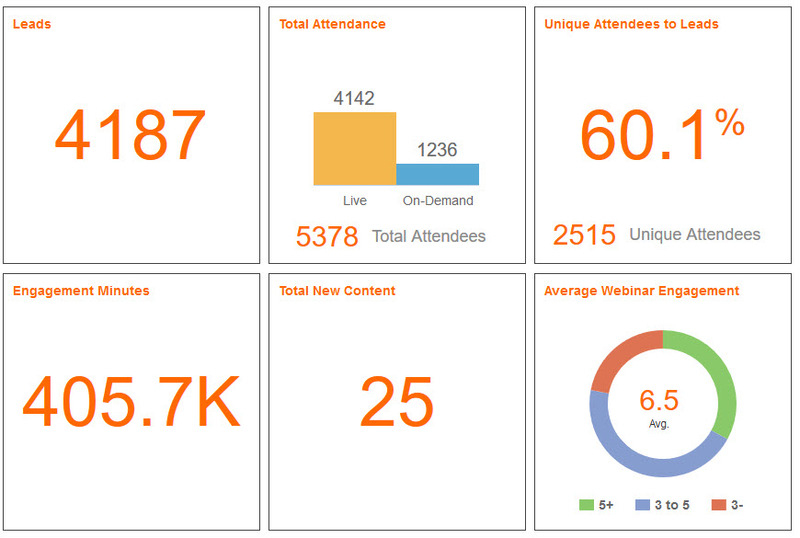 FastCast from 247 Webcasting. Redefining Webinars. Before we at 247 Webcasting were Webcast Providers, we were webcast users. We could never understand why the only way we could get the performance we wanted, the build we needed, in the timeframe we had, and for the price we were happy to pay, was to sign up to a lengthy (and costly) contract. The option for a fully-functional, professional, custom webcast on a Pay As You Cast basis just wasn’t available. So we decided to build it ourselves. That’s why we created FastCast. One webcast at a time. At 247 Webcasting we believe the devil is in the Data. There is no point to marketing investment without the performance metrics, and engagement analytics, to measure its success. That’s why FastCast comes complete with an in-depth, fully comprehensive analytics programme that provides you with complete performance metric visibility, in real-time. The FastCast Insight Dashboard records every click, conversion, question, document download, and interaction made by your attendees. All viewable in real-time during your event and safely saved for all the post-event analysis you desire, and all of this comes as standard with all FastCast packages, available exclusively from 247 Webcasting. Book it, Build it, Broadcast! Our expert team will go ahead and build your webcast to your exact specifications. Once the preview links and emails are created, and are ready and waiting for you to review and approve, we will send you an email containing your secure access, and we’ll also add them to your account. Once you’re 100% happy, and have approved the links, our team will send you the audience URL used to promote your webcast, and that’s it … you are ready to broadcast! Are your attendees’ eyes glazing over at your presentation? Are your audience not listening to your insight? Is no one asking questions or interacting? Do you suspect their notebooks are covered in doodles during your Webinar? That doesn’t happen with FastCast. Keeping your audience engaged, driving real-time interactivity, and involving your attendees on a personal level is key to an interesting, professional, and successful online event, that’s why we have developed a comprehensive suite of over 30 Apps and Widgets to maximise engagement. Live polls, real-time surveys, instant chat, social media integration, sharing, saving, multi-media, and much more. 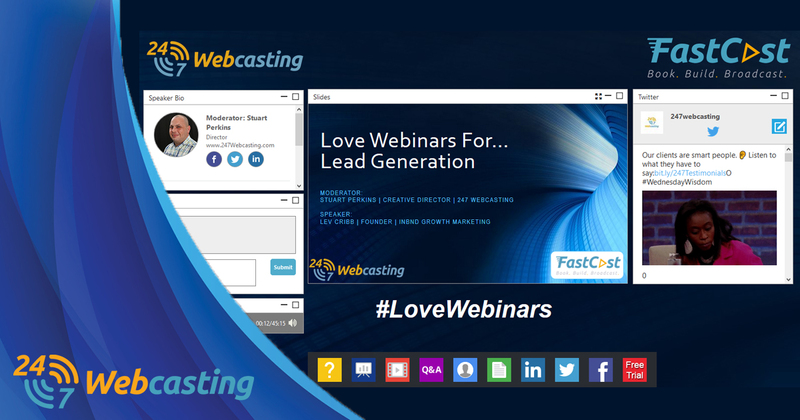 FastCast lets you create the Webinar you wish you had attended. ON24 widgets available on the audience console. 247 Webcasting are here to provide something different, and that’s why we have created FastCast. If you've got questions, we're here to answer them. Get advice on how to run webinars from experts in the field.